According to a report from Reuters, Nokia's stock price has jumped by more than 10% on rumors of Lenovo's interest in buying the Finnish cellphone maker. 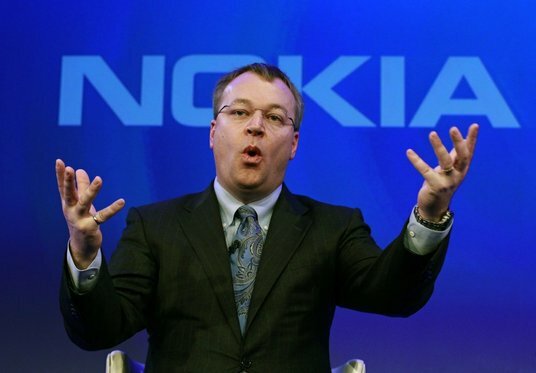 Volumes were nearly double that of Nokia stock's 90 day daily average. Gianfranco Lanci, head of Lenovo's EMEA operations categorically denied any interest in Nokia. This is most likely a false rumor, and according to former Nokia executive Juha-Pekka Helminen, it also bears the characteristics of a short squeeze, i.e. the stock price rise is attributed to short-sellers covering their positions. From a strategic perspective and given Nokia's recent troubles, it makes little sense for Lenovo to acquire Nokia, given that their hardware business seems healthy. Nokia's hardware capabilities would give a big boost to their hardware capabilities in the smartphone space, but I doubt Nokia's Windows Phone strategy holds much appeal to buyers. What a rubbisch rumour. The shares went up because confindence in Nokia grew because of insiders bought lots of shares. This Lenovo rumour is just made up, only to be denied afterwards by Lenovo so shares should go down again. Ofcourse to be picked up again by for traders. Wonder what the next false rumour will be. Yea, I agree. I wonder what the source of the rumor was though. You're right about Nokia executives buying 1 million shares, but that wouldn't give the stock this kind of boost, so the rumor definitely played a major part.